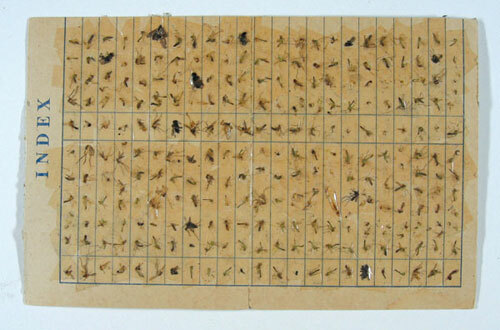 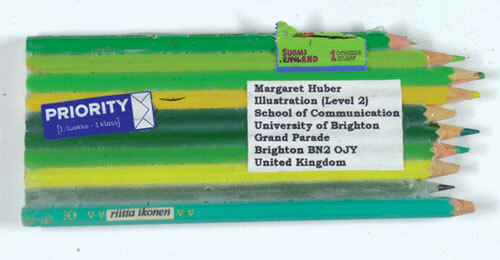 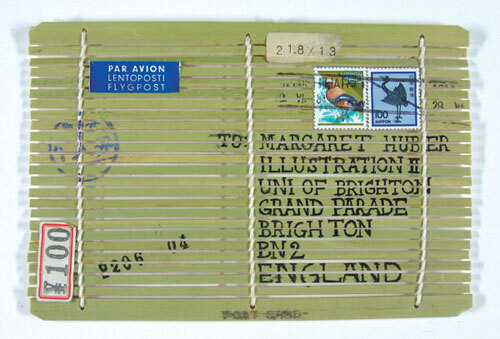 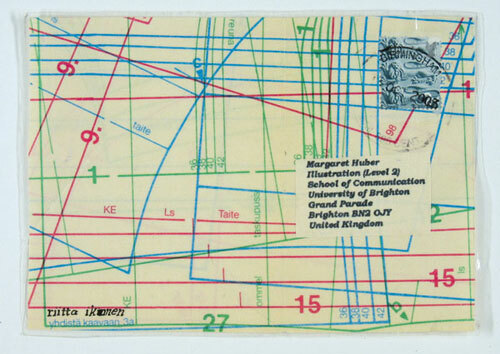 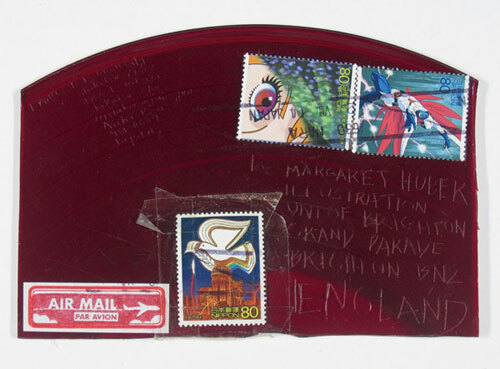 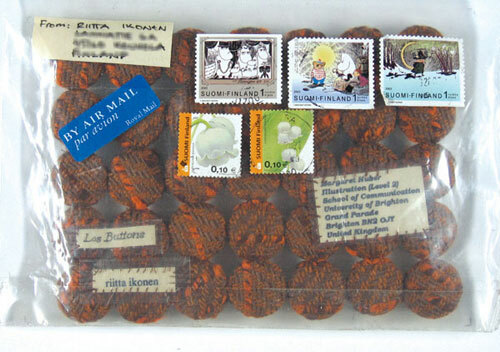 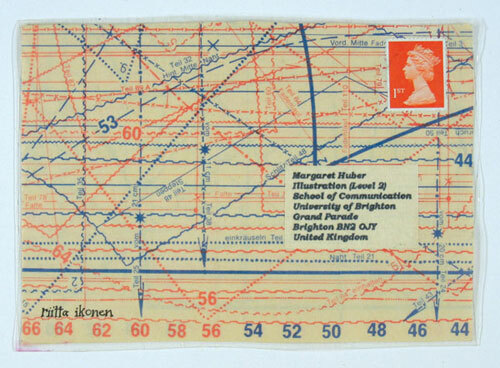 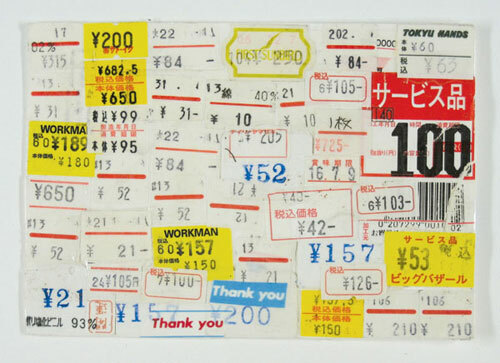 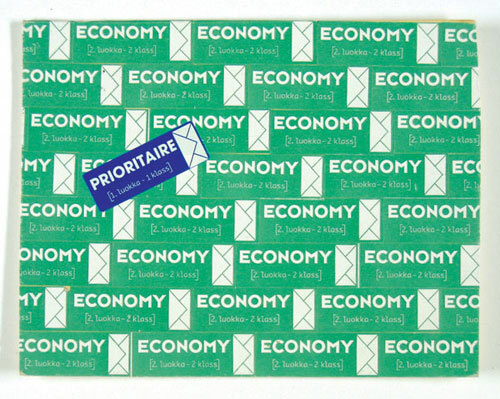 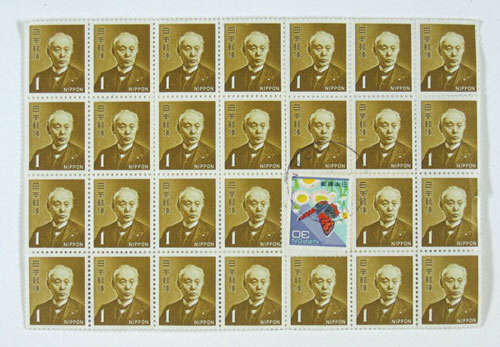 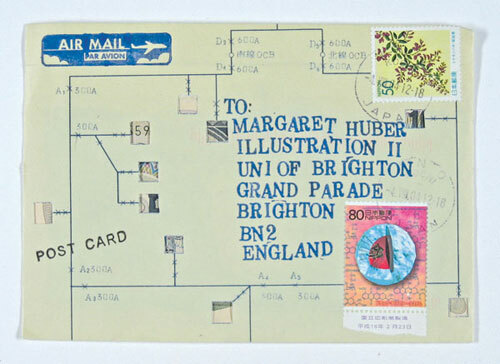 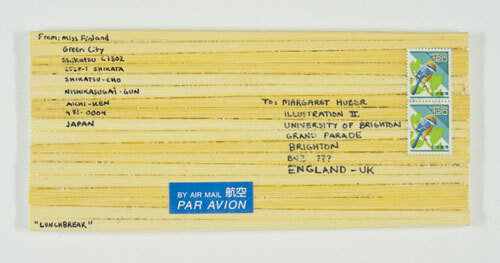 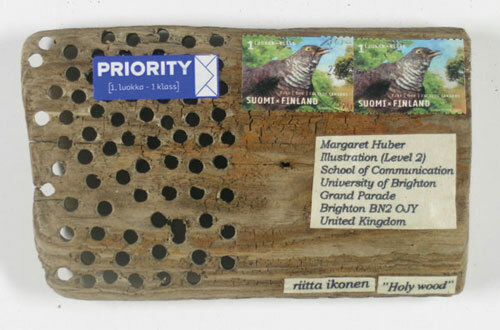 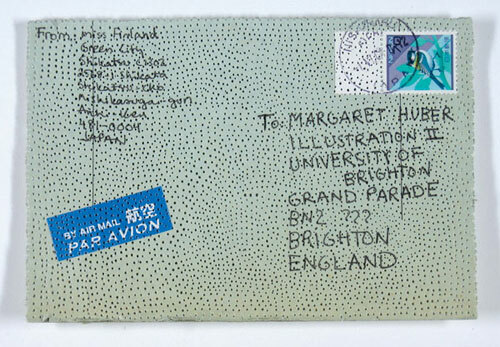 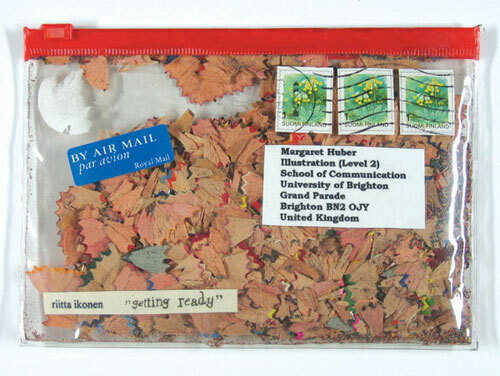 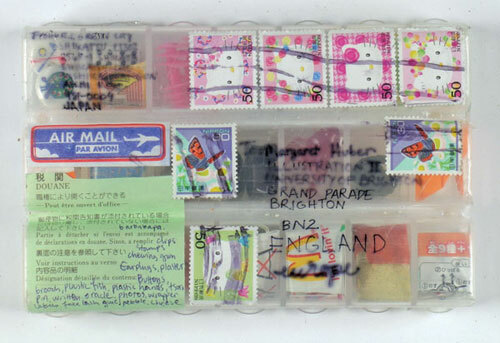 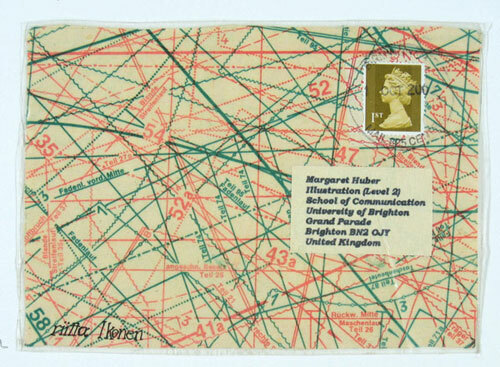 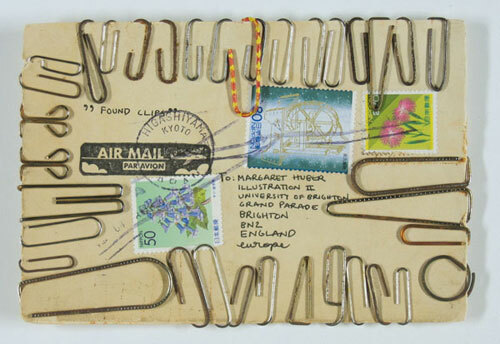 From 2004 to 2006 Riitta Ikonen mailed around 100 postcards to Margaret Huber from Japan, Spain, Finland, Russia, and England. 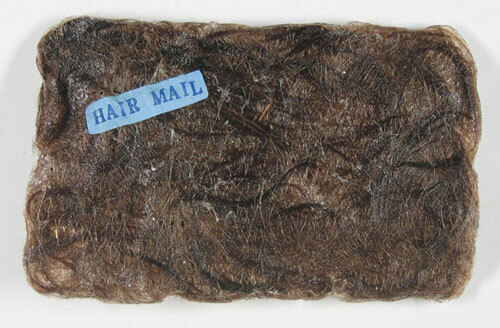 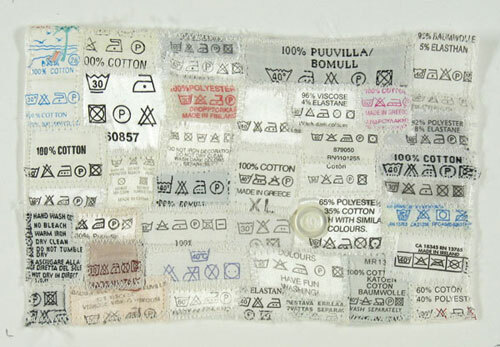 “Hair, fish, a sachet of white powder, a piece of broken record etc. 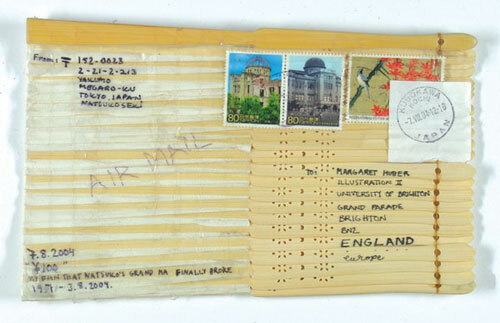 were sent to test the postal system. 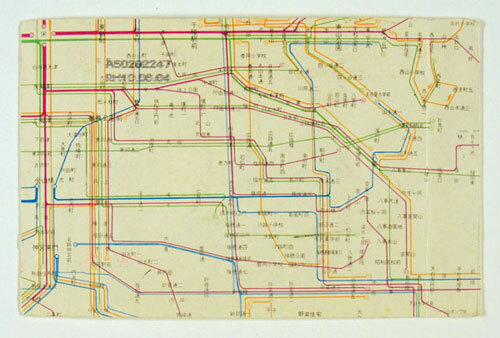 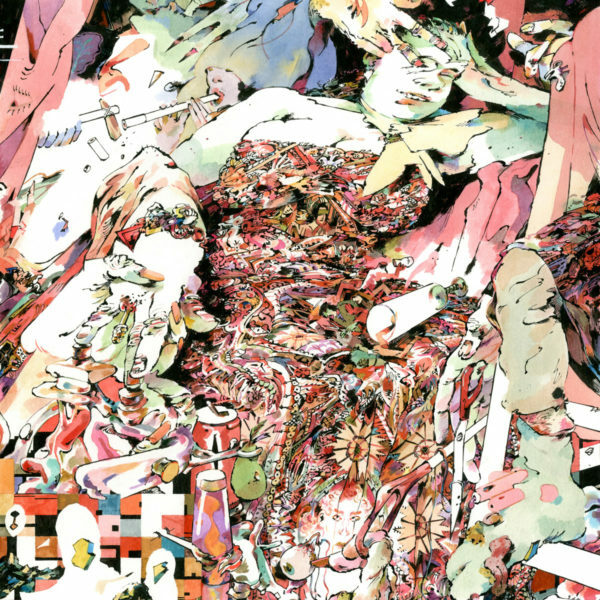 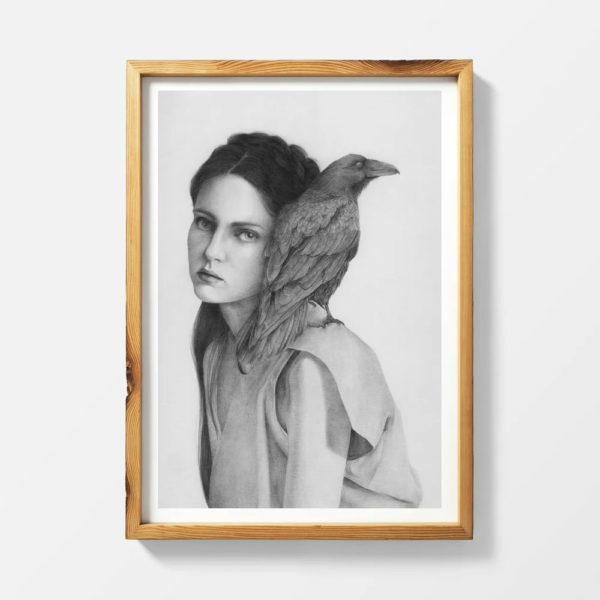 Only three cards never reached their destination.” This is another portfolio that deserves your full attention.